The most comprehensive Discrete Math APP for calculators. Users have boosted their Discrete Math knowledge. 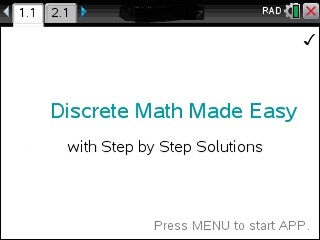 Ideal for quick review and homework check in Discrete Math classes.